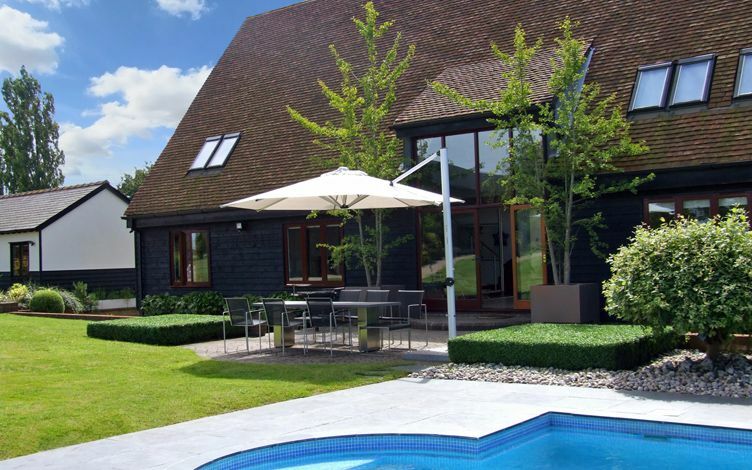 From time to time, a London client invites us to design their country garden, or an overseas client is interested in our input for a lakeside home. Such prospects present great challenges in appraising broader natural settings and fusing a meaningful lasting connection between house, garden, landscape and their owner. Every new location defines a fresh incentive to research local materials, plants and people, while logistics form a significant factor in this process, making it evermore exciting. When the scope requires extensive groundworks to expand a panorama, or improve wildlife habitats, design & build is at its best while on a par with its surrounding, native natural landscape. 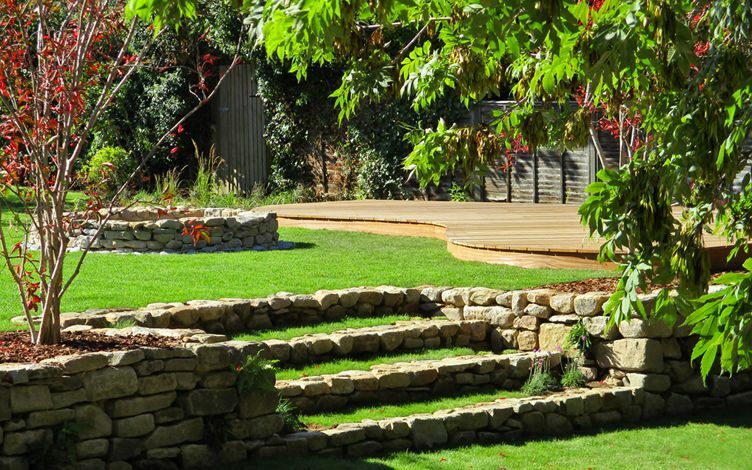 We utilise similar design principles when creating large gardens to the methodologies we engage to produce small spaces, except their zones are formed across vaster scale. At times, it's easier to rework a sizeable slope or piece of land, since an effortless organic approach on the whole succeeds with a natural backdrop. In larger sites, more space is allocated to daily activities, where softer transitions between various areas form sequential integrants for contemporary landscape garden designers. 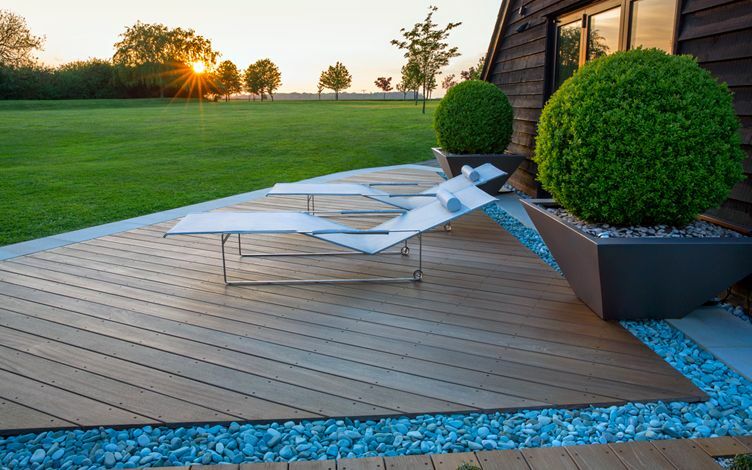 While in a modern town garden, most spatial focus is often geared towards the home's interior, the grand vista of a wide-open landscape inspires site design with its unique genius loci. 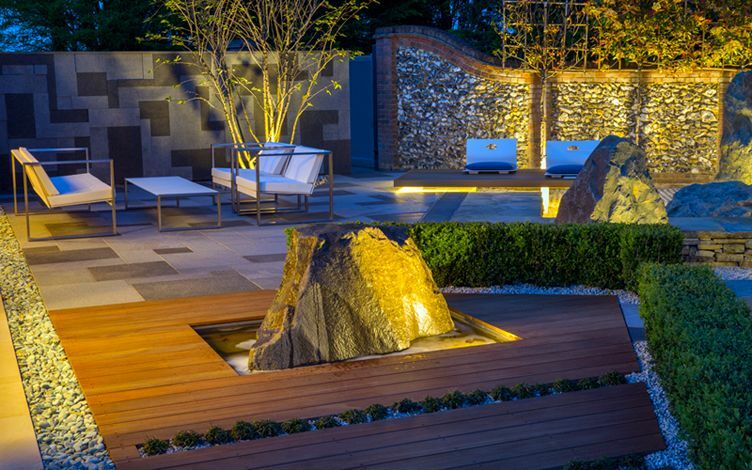 There's a wonderful reciprocation which exists in the garden design ethos. 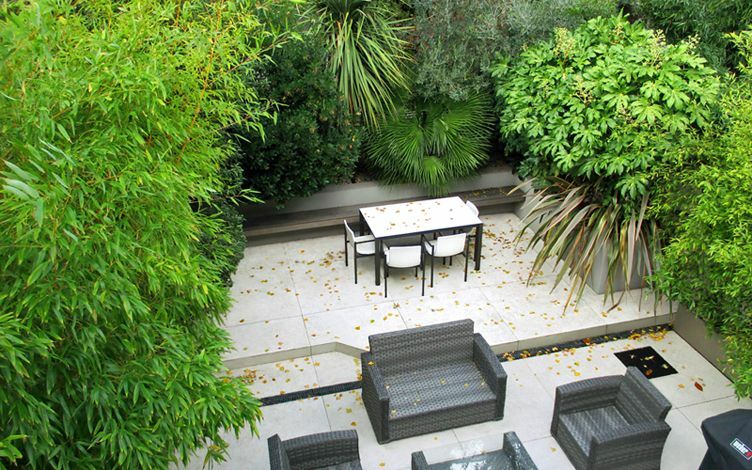 When working in urban locations, we often seek to reproduce the notion of natural forms to enrich a Mediterranean roof terrace, or design lush metropolitan gardens. Such telling, contrived details are portrayed within paddlestone layouts around specimen tree trunks to mimic a mountain range, or by planting dainty daylily drifts en masse to emulate a large-scale prairie meadow and echo our innate affinity with nature. 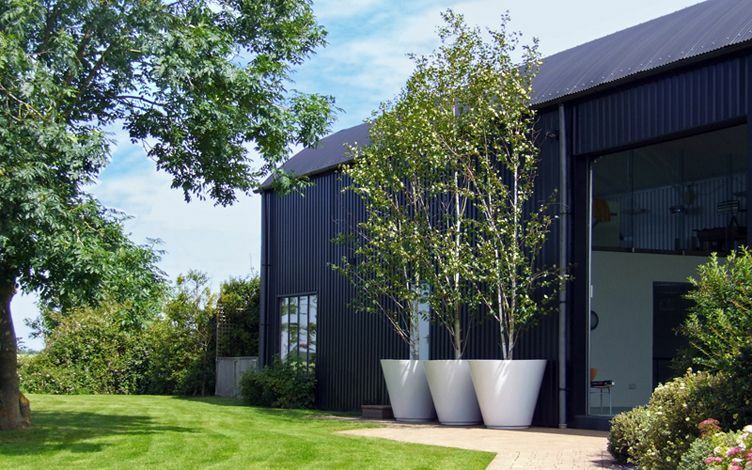 When in the countryside, under an immense sky, hillsides and epic trees, our design concepts are expressed in the minutiae of hard landscaping, by juxtaposing contemporary and natural elements amid expansive soft landscape schemes. 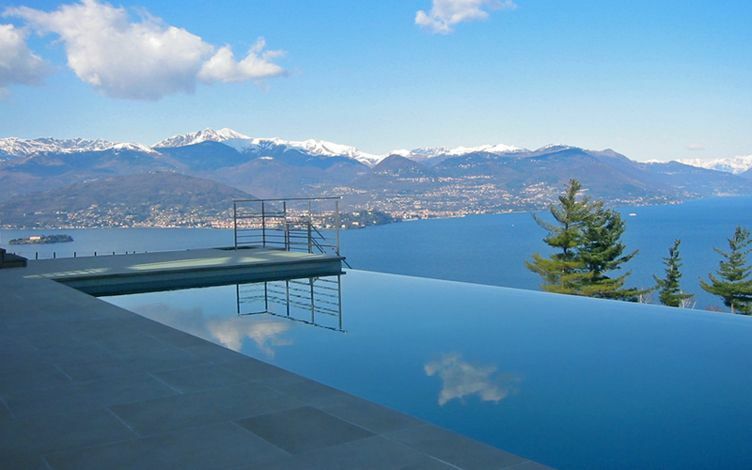 From a sunny seaside setting in Hove to an Essex woodside, or an Italian lake poolscape facing a majestic Alps backdrop, the intrinsic connection between clients and site is consistently sustained via cohesive landscape design ideas. The experience of working further afield yields long-lasting design ideas and inspiration – not only in learning new flora, indigenous materials and cultural heritage, but also in understanding nature's enduring structures. Large-scale gardens invariably take longer to develop and mature, encompassing a design process which requires substantially more time than in many London urban gardens and their instant impact achieved by rapid establishment. 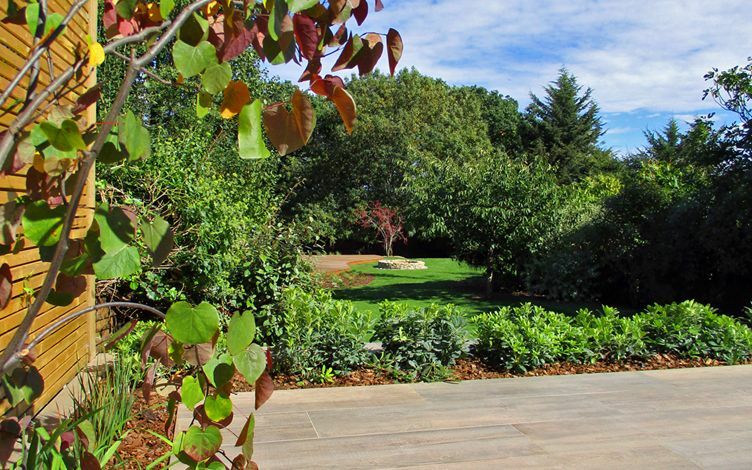 Returning to survey progress, and appreciate the work of nature in commodious locations, forms an edifying journey – pivotal in extending our landscape design repertoire and extensive, diverse portfolio.